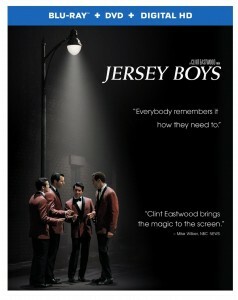 JERSEY BOYS (Blu-ray / DVD Cover Art). ©Warner Bros. Home Entertainment. 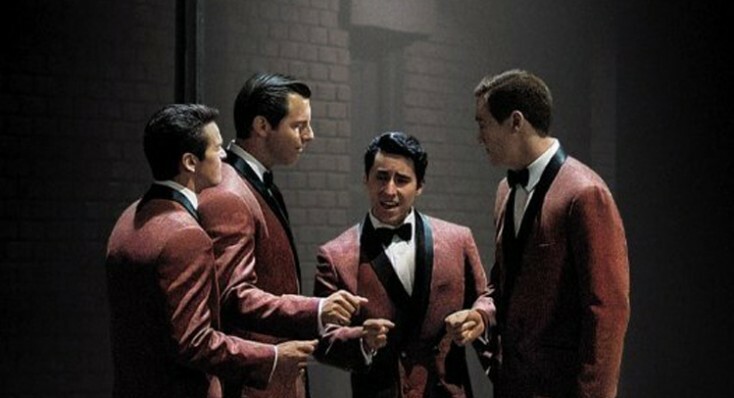 “Jersey Boys,” based on the Tony award-winning musical and directed by the iconic Clint Eastwood, tells the story of four young mob-influenced guys from New Jersey whose street singer vibe is enhanced by talented singer/songwriter Bob Gaudio’s addition to the 1960’s group that became The Four Seasons. The filmed musical adaptation is available in a Blu-ray/DVD/digital combo pack Tuesday, Nov. 11. Whether you are/were a fan of The Four Seasons or not, who doesn’t remember songs like “Sherry” and “Big Girls Don’t Cry” Walk Like a Man,” “Dawn,” all made unique by the high and strong falsetto of lead singer Frankie Valli. Eastwood and fellow filmmakers have done a very honorable job of converting the musical to the screen and chronicling the rise, fall and reunion of the group by allowing each section to be narrated briefly by a different actor, breaking the fourth wall, talking to the audience with his character’s special flair and point of view. Eastwood wisely chose to draw his cast from various companies performing the musical on Broadway and including the San Francisco and the more recent Las Vegas casts. This proves brilliant since we don’t see a famous actor when we look at the guys but can more easily believe that these talented singer/actor/dancers really are The Four Seasons. The film stars the excellent John Lloyd Young, who reprises his Tony Award-winning portrayal of the legendary Frankie Valli. Erich Bergen, who was in the road company ending up in Las Vegas, winningly plays Bob Gaudio who wrote most of the group’s greatest hits. Most of the female lead cast also came from stage productions of “Jersey Boys” and are all very good. Vincent Piazza of TV’s “Boardwalk Empire” enacts the volatile and flamboyant Tommy DeVito to a “T” although he admits to feeling a bit overwhelmed musically with all the experienced singers in the cast. Throw in Christopher Walken as a mobster friendly to the quartet and the cast is complete. Luckily, nobody had to teach the former hoofer to dance for the last big musical goodbye number. There are only three featurettes in this Combo pack. In “From Broadway to the Big Screen,” viewers are given details from Eastwood and the cast on music, the characters and the excitement the stage actors felt at being chosen for the film. Eastwood explains how he was attracted to the story of “delinquents who made it big” and we are told about the humble beginnings of the musical in La Jolla, Calif. The surprise hit ended up on Broadway. It’s a nice extra. “Too Good to Be True” gives us more on the stage actors and behind the scenes shots of them working with Eastwood on set. The extra zeros in on Donnie Kehr who was in the original La Jolla cast and played a lawyer in the film. Since his character isn’t major, this seems an odd addition. “Oh What a Night to Remember” centers on the big song and dance number in the streets at the movie’s end. The choreographer, also from the Broadway show, talks about rehearsal and we see some of the cast working on the number including Eastwood who gives dancing a try. It’s amazing that the group only had a day and a half to practice. This combo performance of film and musical theater topped off the movie. Interesting extra. As a fan of the music of The Four Seasons, I very much enjoyed the film but the first half of the movie concentrates on the bickering and infighting that almost every music group in history has gone through. This puts out a been-there-seen-that vibe that isn’t really shaken until the last half of the film in which the group hits the bigtime and the music we know is performed. Eastwood takes no chances and sticks to just the facts, at least as presented in the musical play, and this offers little that doesn’t work better on stage. 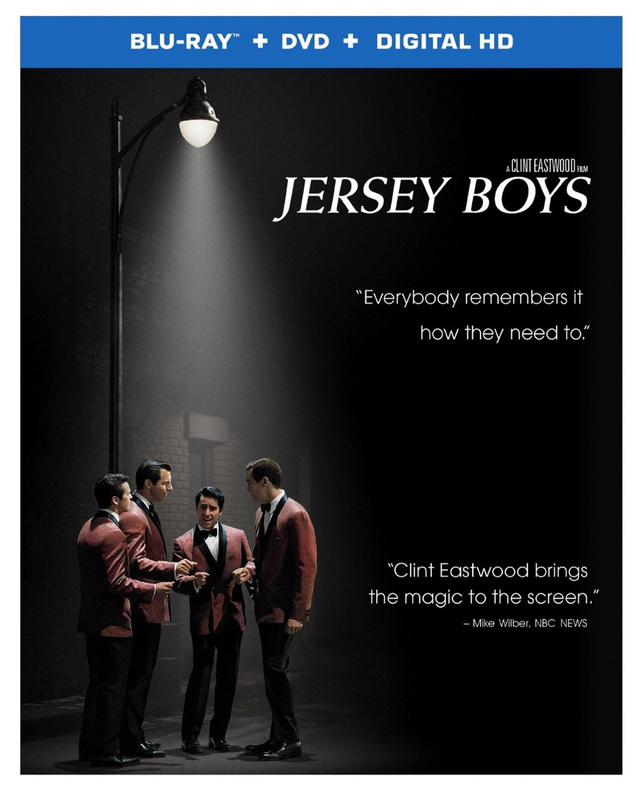 This home entertainment offering sounds and looks great but a director’s commentary and perhaps interviews, separate if necessary, with the real Frankie Valli and Bob Gaudio would have been really enjoyable. I always love a good outtake/blooper extra and we could always use more on set coverage. For those who grew up with or just like the music of The Four Seasons, or those who enjoyed the stage show, this Blu-ray will be a welcome addition to your collection. Otherwise, the basic story will feel a bit familiar.